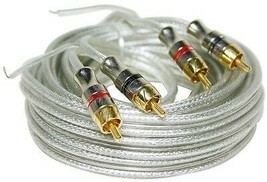 RCA cables are the backbone of your audio system. They are used for transferring audio and video signals. Without a proper signal, you can have a distorted signal which would make your system not perform to its optimal capabilities. 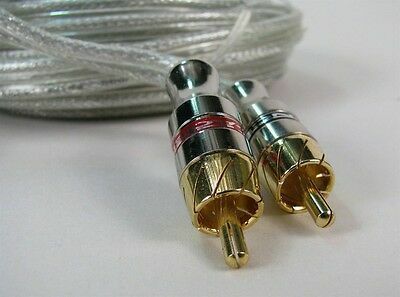 Don't ever settle for cheap RCA's because they will not provide a clean signal to your amplifiers or video sources. These Cadence RCA cables are 100 % copper, and feature advanced technologies like triple shielding, magnetic interference rejection, woven outer shield, and more. Unique construction provides ultimate electromagnetic interference rejection.